This course provides an introduction to the book-based scripts and the text typologies of the western European Middle Ages and the Renaissance from 800 to 1500, from Caroline minuscule through early print. The goal is to learn to read the texts (mainly in Latin); an integral part of this is the recognition of the main types of script according to various categories, by attention to letter forms, abbreviations, and decorative hierarchies. Students will work with digital images and a selection of actual materials; they will learn the basic tools for working with medieval codices; they will begin to assess areas that can provide information on localizing and dating the manuscripts. The main concentration of the course will consist of practical work sessions, both in oral reading and in written transcription in order to build a foundation for eventual advanced study in paleography. Course materials will be distributed electronically, and much of the classroom work will be based on electronic images, so students should bring their own laptops; homework, however, will be done via paper copies. In their personal statement, applicants should describe the degree of their present knowledge of Latin and their reasons for wishing to take this course. Consuelo Dutschke teaches this course. Albert Derolez teaches a precursor course, "Introduction to Latin Paleography." Consuelo Dutschke is Curator of Medieval and Renaissance Collections at Columbia University’s Rare Book & Manuscript Library, a position she has held since 1993. 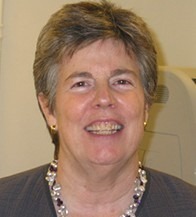 She is the author of the two-volume Guide to Medieval and Renaissance Manuscripts at the Huntington Library (1989) and co-founder, with Charles Faulhaber, of the online cross-institutional catalogue, Digital Scriptorium. In 2005 she was elected to the Comité international de paléographie latine, and has served on its board of councilors since 2010. In 2016, the Medieval Academy of America awarded her its Kindrick-CARA prize for Outstanding Service to Medieval Studies for her work in creating Digital Scriptorium.